Teacher appreciation week is next week and I haven't decided what all I am going to do. 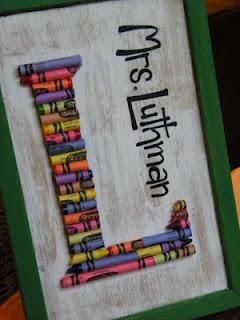 Here are some great ideas I found. 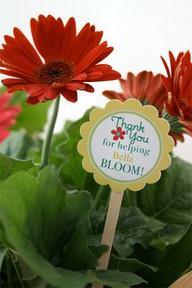 Cute printout to add to the flowers you are going to bring. 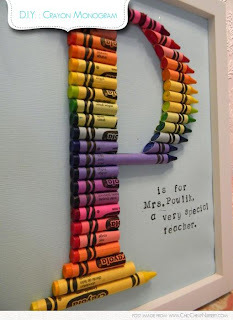 I love these ideas using crayons. 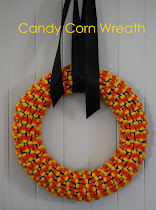 Here's the link for the how to. 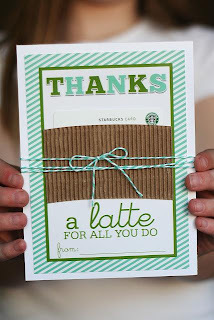 Cute card to make to give with a starbucks gift card. Print outs found here. 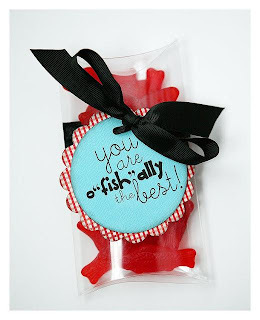 Using swedish fish, this is super cute. Print outs found here. 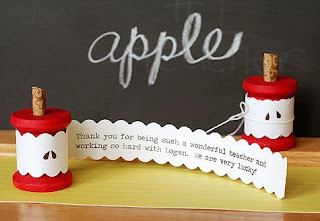 I love these apples made from spools. Aren't they adorable? Instructions are here. 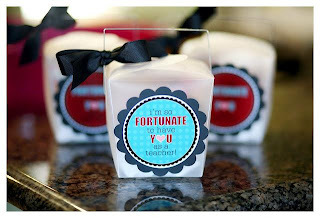 Fortune cookies dipped with chocolate are hidden inside these boxes. The labels are found here. These are the ideas I was thinking of implementing this year. It will be a busy weekend!